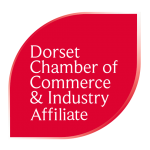 Rely Ltd are delighted to offer members of Dorchester Chamber a range of discounts on their services. These include a 30-minute free consultation, 5% off the price of HR Lifeline – one of our HR consultancy packages, and 5% off the price of a coaching or training session. For more details contact Rely on 01305 831706.